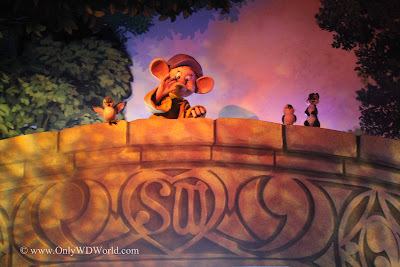 One of the original Walt Disney World Resort attractions will be closing after May 31st. Snow White's Scary Adventures in the Magic Kingdom will be shutting down to make way for the new Princess Fairytale Hall. 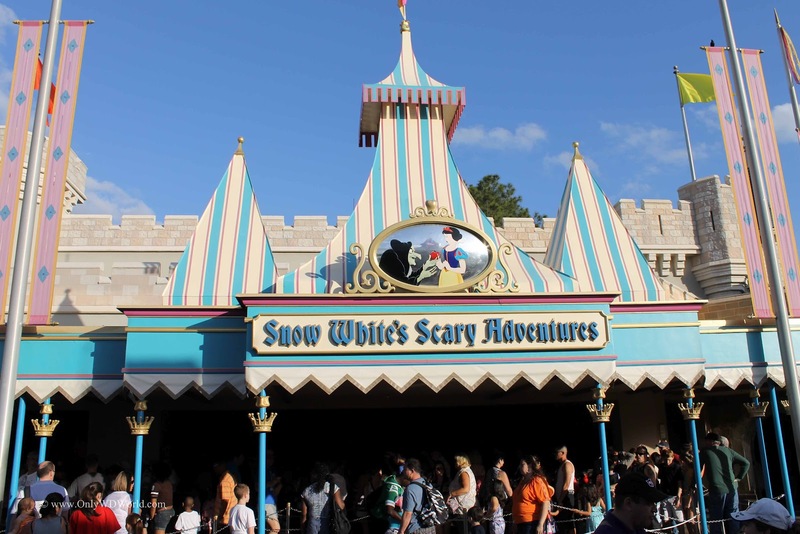 Since it opened on October 1, 1971 Snow White's Scary Adventures has been an integral part of Fantasyland at the Magic Kingdom. Prior to the new attractions that are being created as part of the Fantasyland expansion it has been the only Dark Ride/Attraction that has focused on one of the classic Disney Princesses. 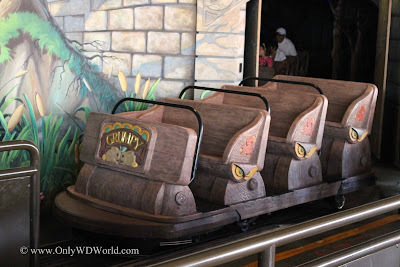 As you made your way through this attraction in your ride vehicles named for the Seven Dwarfs and adorned with Snow White's animal friends you encountered a quickly paced retelling of Snow White's story. For Snow White fans the good news is that there will be a bigger and much improved attraction that is focused on Snow and her friends. 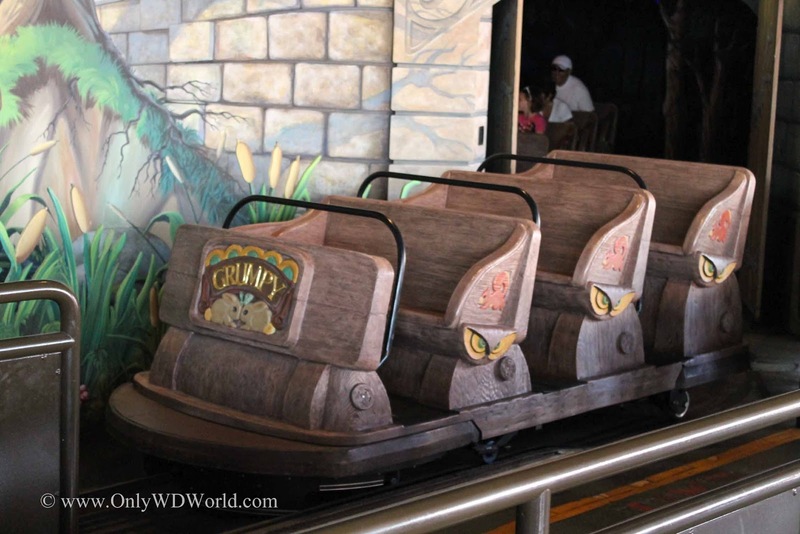 It will be tentatively be called the Seven Dwarfs Mine Train which is scheduled to open in 2014. 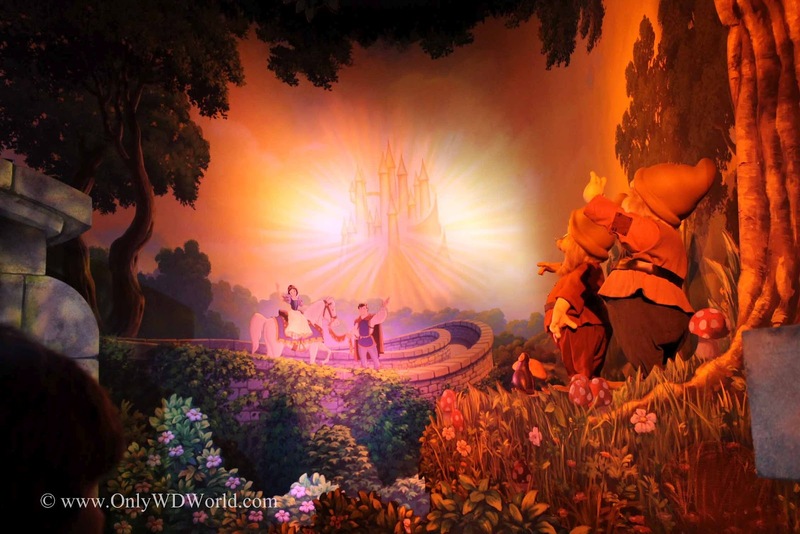 The new Princess Fairytale Hall will be the place to meet and greet the Disney Princesses in Fantasyland. After the refurbishment of the area is complete the entrance will provide a castle-like setting that is appropriate for your meeting with royalty. The walls will be be made of stone and stained glass windows. Once inside you will discover a large open galllery with high ceiling and portraits of the Disney Princesses. The Princesses will await you in elegantly adorned rooms befitting their royal stature. 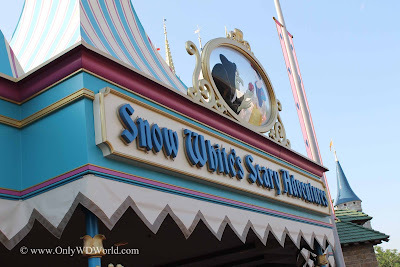 These changes should be completed sometime in 2013 and fit nicely into the overall transformation of Fantasyland to have much more representation and connection to the Disney Princesses and their stories. 1 comments to "Snow White's Scary Adventures To Close Forever After May 31st"
Although we don't really focus on this ride anymore, I am saddened that it is closing before we'll make it back to the "world" this summer.